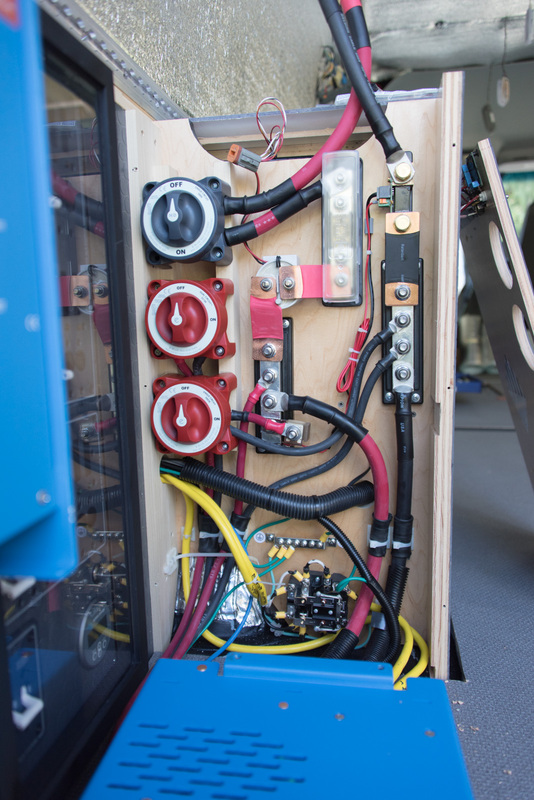 In order to assemble your 12 Volt power system, you’ll be connecting cables between your batteries, your inverter, your solar charger, your fuses, relays, switches and bus bars. Most of those devices have studs and bolts for the connections, which means you’ll need cable lugs to attach the wires to the items. Now, cable lugs for 18 gauge or even 10 gauge cables are easy to crimp in place. There’s a really great very detailed video on YouTube that explains the right and wrong way to crimp this style of cable. The real issue comes when you are working with 2 gauge, 0 gauge, or even 4/0 gauge cables. What’s the fuss about crimping? A bad crimp can be dangerous. If the wire isn’t held in place properly, it can work loose from the lug. That stops things from working but it can also short out components. 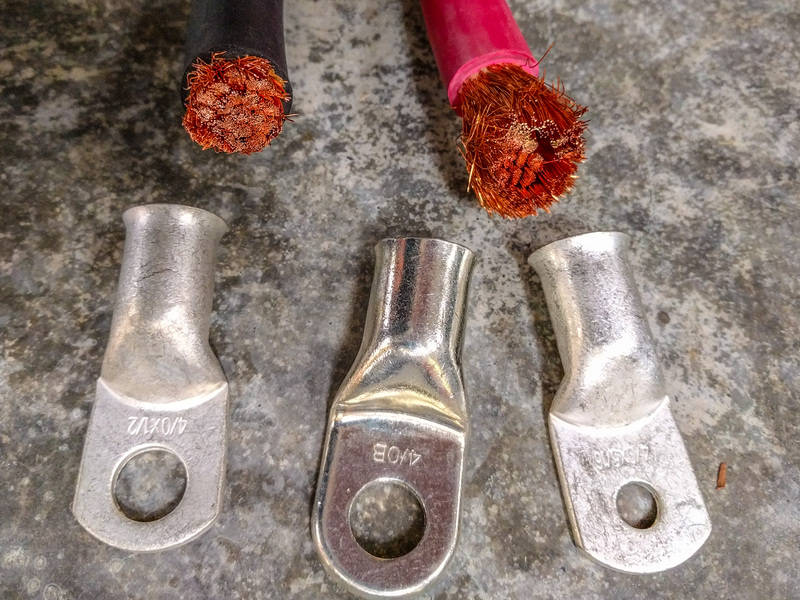 If a battery cable comes loose, it can create big sparks and start a fire. Even a crimp that feels firm may not be good enough. Cables are sized to carry a certain amount of current. That’s why you need big, fat cables on battery connections (carrying all the current used in the system) and not on LED light cables (carrying just enough current to light the very efficient LED). If the lug isn’t properly crimped on to the cable, it might not have enough contact area. That’s like putting a piece of thin cable in the middle of your thick cable. The thin piece will get hot from the resistance that builds up as the current tries to squeeze through the thin section. A good crimp compresses all the copper strands in the cable so that there is no air gap between them and the inner wall of the lug. This way, there’s continuous contact between the cable and the lug and no chance for hot spots to form caused by electrical resistance inside the cable. Here’s a tool manufacturer’s video that explains the difference between a good and a bad crimp in large cables. The best cable for this type of use is battery cable or welding cable. It’s more flexible because it has multiple strands rather than just a few thick wires inside. 4/0 cable can have upward of 250 separate copper strands, all twisted together. Those multiple thin strands compress together much better than a few thick wires would. Here’s a contrast between 2 AWG welding cable and some 2 AWG 120v cable I had lying around. 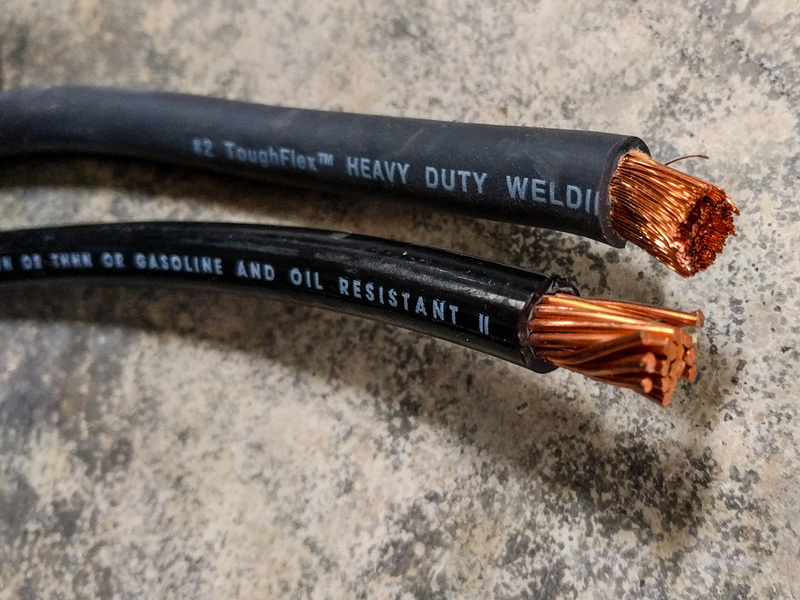 Notice how many strands the welding cable has compared to the 120v cable. You can see how a lug will have better contact with the welding cable compared to the normal cable. To cut through this stuff cleanly, you need a proper cable tool. Gnawing at it with a pair of pliers is not going to create a clean end. We bought a ratcheting cable cutter. It slices through even 4/0 copper cable really cleanly so long as you keep a firm grip on the cable with one hand. The cutter doesn’t take too much force to use because of the ratchet action. WARNING: There is lots of surprisingly cheap cable available. Be really careful. Copper costs money. If the cable looks cheap (especially if it’s advertised for car audio use) then it’s probably not copper. Instead, it might well be called CCA or Copper Clad. The “A” stands for aluminum. This is aluminum wire with a thin copper layer over the top. It looks like copper but it weighs less and it’s not such a good conductor. It will have more resistance than a similar size copper wire. The aluminum is also more brittle, so the wires inside the cable are more likely to break over time. That further increases the resistance. Stay away from CCA. There are videos on YouTube where people take old pieces of copper pipe from the trash and mash them in a vice to turn them into cable lugs. Compare and contrast to store-bought lugs. Properly manufactured lugs are made of copper that is the correct thickness for the lug size. They are designed with a flared end to make it easier to insert the cable. Often they have an inspection hole so you can check the cable is inserted all the way into the lug. Many lugs also have a layer of tin over the copper to prevent corrosion. We’ve been happy with the TEMCO brand lugs. They are a good balance of cost and quality. Yes, lugs are expensive. I don’t think it’s a place you should be cheaping out using metal you found in the dumpster and then bent in to shape. For lugs to be well compressed, you’ll need a crimper. Until recently you either had to pay a specialist shop to make your crimps for you, or you were pretty much limited to a hammer crimper. You can still buy these for under $20. These things put a little dent in the edge of the lug, which theoretically closes it up enough to hold the cable in place. They don’t create an air tight “cold weld” because they aren’t compressing the whole lug and cable bundle. Now though, you can buy a hydraulic crimper that’s perfectly fine for DIY use on Amazon for less than $50 (the price fluctuates – look around on the site if it’s higher than $50 when you click the link). This particular model has interchangeable dies for the different cable sizes. The dies are metric, so you also need a conversion chart. This lets you see which die most closely matches the cable you have. It’s worth measuring the cable directly because what’s printed on the outside doesn’t always match the thickness of copper on the inside. 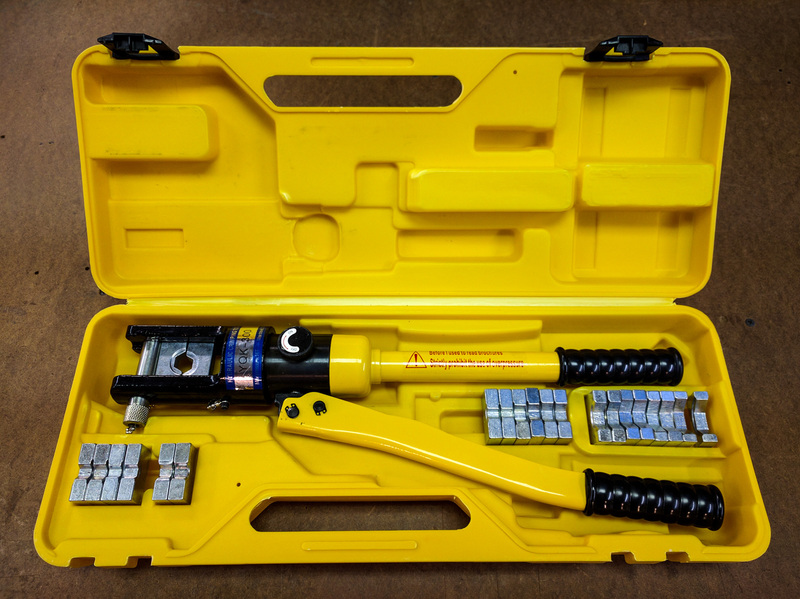 Of course, you can still completely mess up the crimp connection even with a hydraulic crimper, but at least you have a much better opportunity to succeed! Adding a layer of heat shrink to the outside of the connection serves three purposes. It provides extra strength to the crimped lug. It helps you identify positive and neutral cables. Perhaps most importantly it insulates the end of the cable. Heat shrink is another thing that comes at multiple price points. The good stuff has glue inside. It forms a liquid-tight seal around the whole cable and crimp when you heat it up to shrink the tubing over the cable. That stuff is often known as “dual wall” or “adhesive lined.” Most marine grade shrink tubing is in this category. When you buy heat shrink tubing, its size is listed as the stretched diameter (before shrinking). The manufacturer will also list a shrink ratio, like 2:1 or 3:1. A 1″ diameter 2:1 tube will end up 1/2″ wide after it’s been shrunk. That helps you work out what size you need for each of your cable types. If you’re spending good money on heat shrink tubing, it also makes sense to use a heat gun rather than relying on a lighter to heat the tubing up. We’ve been happy with the DeWalt D26950 heat gun. There are cheaper ones out there, but this one has served us very reliably. Spend the money, it’s worth it. 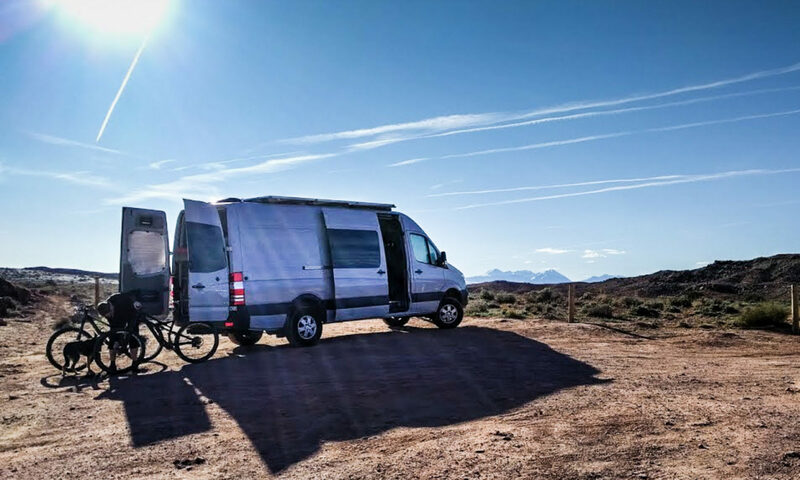 By the time you’re done with your van conversion, you’ll have crimped a lot of cables. I count 16 heavy gauge cable crimps and 12 thin gauge crimps in the photo below. The DC distribution panel and all the 120v and 12v outlets and appliances in the vehicle also have crimps at both end of each cable. Several hundred overall. The cable crimping process can either be a real pain, or it can be an exciting opportunity to use cool tools. It’s up to you! Thanks for the information. I noticed you used some copper plates as connections (versus cables and lugs). I have quite a few short connections and I’d like to use these plates as well. Did you have any reference chart to show how thick the copper needs to be to handle the amp draw? Or was it mostly a guessing game? Thanks again, I appreciate these posts. Solid copper has slightly more resistance than stranded cables, so we calculated the cross-section of the cables we’d need (based on AWG calculators) and then added a bit. So, a combination of reference chart *and* guessing game! Thanks again – I realized afterwards that was probably the approach you used. 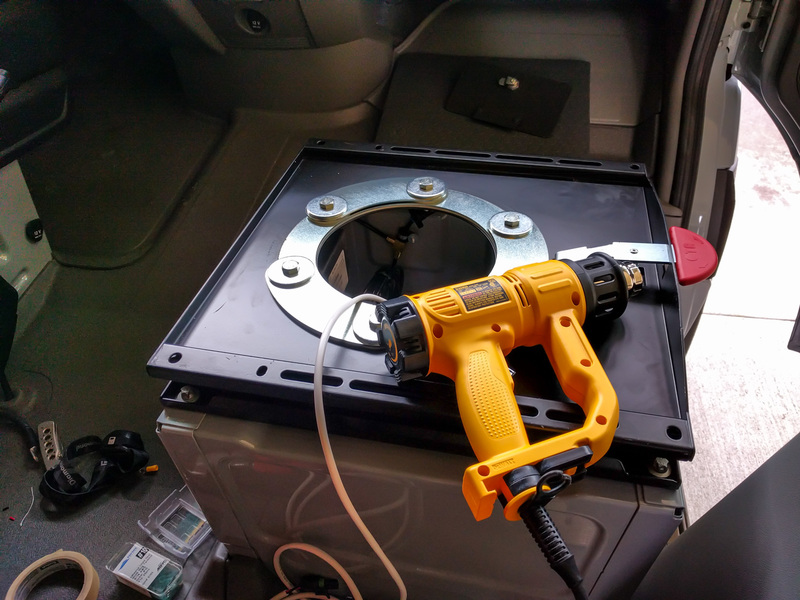 I was hoping there would be sizes out there on the market already rated for 250 amps or whatever – but that’s part of the fun of a van build: we get to make some of the products.